Under the leadership of Mr. Zheng Yonggang, Shanshan Investment Holding Co., Ltd is a large-scale enterprise with large capital as a belt. Its annual sales volume in 2008 and 2009 reached RMB11.6 billion (USD 1.7 billion) and RMB 12.8 billion(USD1.9billion) respectively and its current total assets have amounted to RMB 10 billion (USD1.5billion). The business scope covers fashion industry, renewable energy & new material industry, investments, industry park operation and development, and international trade etc. Now it has two listed companies, Shanshan Share and Zhongkeyinghua and was ranked one of Top 500 Enterprises in China since 2002. In 2009 Shanshan Group established all-round and close partnership with ITOCHU, one of the world Top 500 Enterprise, in respect of management, brand, technology, globalization, etc. For more than 20 years, as a leading enterprise, Shanshan Group has always been leading the costume industry in China. Since its establishment, Shanshan Group set a goal "to become the No.1 brand for Western-Style clothes in China" and with a long version firstly and systematically promoted advanced conception and practice in China, such as Brand Strategy, Designer Strategy, Intangible Assets Operation, Multi-brands & Globalization and carried out to collectivizing operation, share-holding reform, get listed and become one of key 520 enterprises fostered by Chinese government and one of top 500 enterprises in China. Shanshan Group has established durable partnership with many world-famous clothing companies and institutions, such as Japan 's ITOCHU, Italian FARAO, French RENOMA, France Haute Couture Association and so on which made it the unique Chinese enterprise managing business internationally with domestically-made costume by brand operation and positioning. For the time being, Shanshan Group owns total 22 brands and more than 1,500 authorized dealers all over the country. 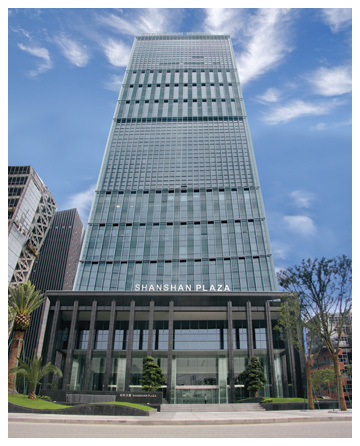 In 1999, Shanshan Group set its foot on the road of diversification towards high-tech industry. 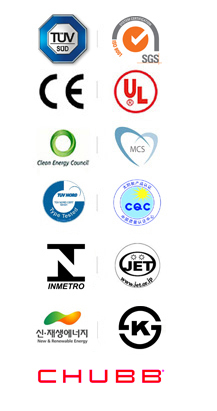 Now Shanshan Science & Tech Co. Ltd has become the largest and most advanced manufacturer of anode and cathode materials in lithium-ion battery and electrolyte in the world and owns 4 national 863 Scientific & Technological Project achievements and dozens of independent patents and wins an outstanding position in the global supply chain of lithium-ion battery materials. It has very good partnership with SONY, PANASONIC, MOTOROLA, LG, etc. In the field of biological technology, Wuxi Shanshan biological technology Co., Ltd got involved in supercritical extraction for CO2 by merging in 2002 and boasts Asian largest biological supercritical extraction equipment and advanced technology. Shanshan Group succeeded in entering financial investment industry, such as share-holding Bank of Ningbo and Shanli Futures , acquisitioning and holding Zhongkeyinghua, a listed company. In the risk investment industry, Shanshan Group made investments in a famous computer game company called Jiuyou Net in 2003 which has developed into a fast-growing company within a few years' time. In addition, Shanshan Group made large investments in Ningbo Shanshan Scientific and Technological Pioneer Park and Langfang Scientific and Technological Valley as technological incubators devoting to building the Chinese Silicon Valley and providing powerful support and growth platforms for new innovative Hi-tech enterprises in China.